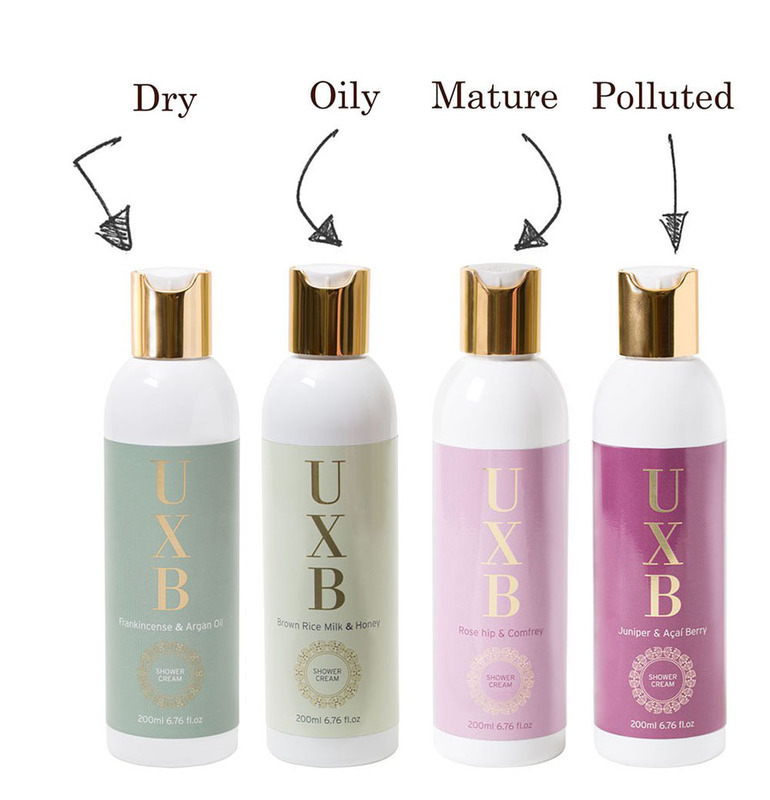 These shower creams from UXB Skincare have been designed to prevent the skin from drying out after showering by feeding it and “locking in moisture”. The creams are described as “Non-foaming moisturising cleansers” because they spread like a moisturiser yet rinse off like a shower gel, leaving a smooth, silky finish to your skin. There are four different scents to choose from – Juniper & Açaí Berry (for sun damaged skin), Frankincense & Argan Oil (for dry skin), Brown Rice Milk & Honey (for oily skin) and Rose Hip & Comfrey (for mature skin), all of which linger well on the skin. The creams come in attractive, plush-looking containers and feel luxurious to use. My personal favourite is Brown Rice Milk and Honey, which has a pleasant aroma – although, of course, it’s all about choosing the right one for your skin type. Each cream is rich, creamy, smooth and easy to rub onto the skin; it really does feel a pleasure to use. We noticed that after several showers, when the cream is running low, it can be a little difficult dispensing the cream but, of course, removing the lid at this stage helps. Also, as the cream is non-foaming, you need to rub it directly on to the skin because the use of a sponge results in too much product being used. Overall, a pleasant shower cream, albeit with quite a high price tag, but one I wouldn’t hesitate to recommend. Info: Only available direct from www.uxbskincare.com at £17.50 per 200ml.